Mandy Moore and Martin Freeman in "Dedication." Mandy Moore and Billy Crudup in "Dedication." Billy Crudup and Mandy Moore in "Dedication." "License to Wed" star Mandy Moore arrives at the EMI/Capitol Records Grammy party in L.A.
Mandy Moore at the Los Angeles premiere of "License to Wed."
John Krasinski and Mandy Moore in "License to Wed."
Mandy Moore in "License to Wed."
Actress Mandy Moore the Metropolitan Museum of Art Costume Institute Benefit Gala "AngloMania: Tradition and Transgression in British Fashion." Actress Mandy Moore at the Metropolitan Museum of Art Costume Institute Benefit Gala "AngloMania: Tradition and Transgression in British Fashion." Actress Mandy Moore at the inaugural "Design A Cure" charity event benefiting Cedars-Sinai Women's Cancer Research Institute in California. Actress Mandy Moore at the L.A. premiere of "American Dreamz." Actress Mandy Moore at the 32nd Annual "American Music Awards" in L.A.
Actress Mandy Moore at the Behnaz Sarafpour 2006 fashion show during Olympus Fashion Week in N.Y.
Actress Mandy Moore at the 20th Annual Kid's Choice Awards in California. Actress Mandy Moore at the taping of Spike TV's First Annual "Guys Choice" in California. Actress Mandy Moore backstage during MTV's Total Request Live in N.Y.
Actress Mandy Moore at the TV Guide & Inside TV 2005 Emmy after party in Hollywood. Actress Mandy Moore from the film "Dedication" poses for a portrait during the 2007 Sundance Film Festival in Utah. Actress Mandy Moore at the Cartier holiday celebration in honor of the Cartier grand re-opening in New Jersey. Actress Mandy Moore at the Utah premiere of "Dedication." Actress Mandy Moore at the 2005 CFDA Awards in N.Y.
Actress Mandy Moore backtage during MTV's Total Request Live in N.Y.
Actress Mandy Moore at the EMI/Capitol Records Grammy party in L.A.
Actress Mandy Moore from the film "Dedication" poses for a portrait during the 2007 Sundance Film Festival. Actress Mandy Moore at the 2004 CFDA Fashion Awards in N.Y.
Actress Mandy Moore at the Hollywood premiere of "Because I Said So." 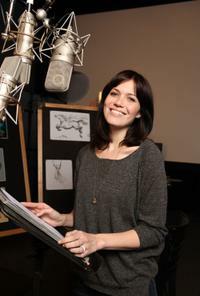 Mandy Moore on the set of "Tangled."